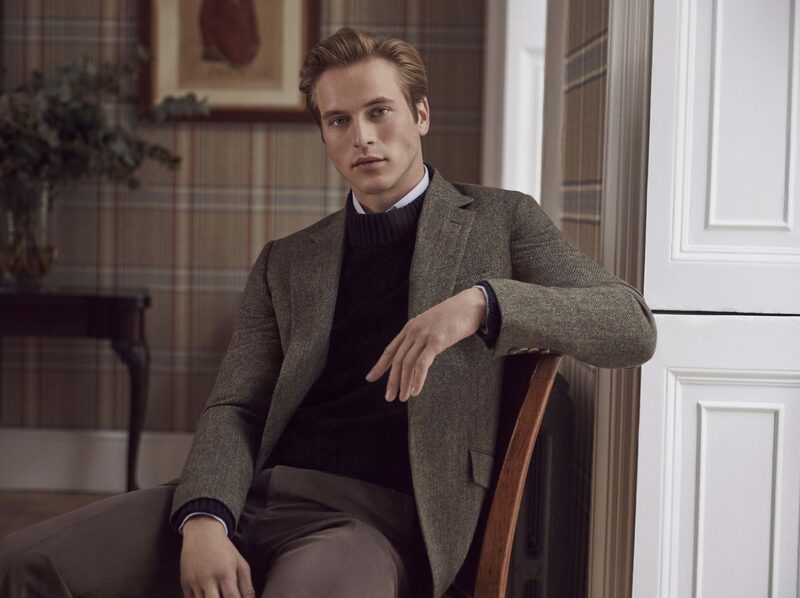 For more than a hundred years Huntsman has created distinctive tweed collections. Now it’s your turn. 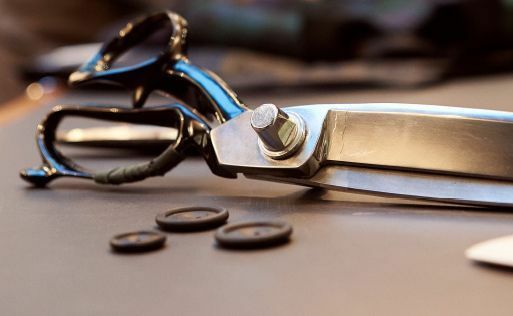 Choose a design and pick out your colours: we’ll put all our expertise and technical know-how at your disposal. 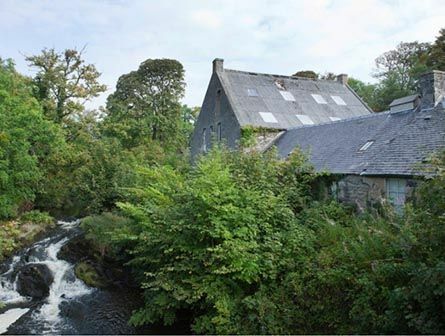 Then travel with us to the Isle of Islay where we’ll sip on its famous single malts and watch your tweed take shape on an antique loom in one of the world’s oldest mills. 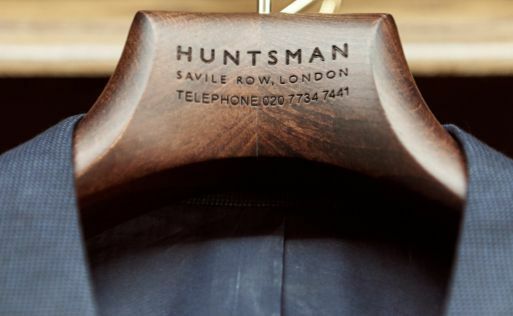 From your 30-metre bolt will come a Huntsman jacket bespoke to you, and the opportunity to outfit generations to come. 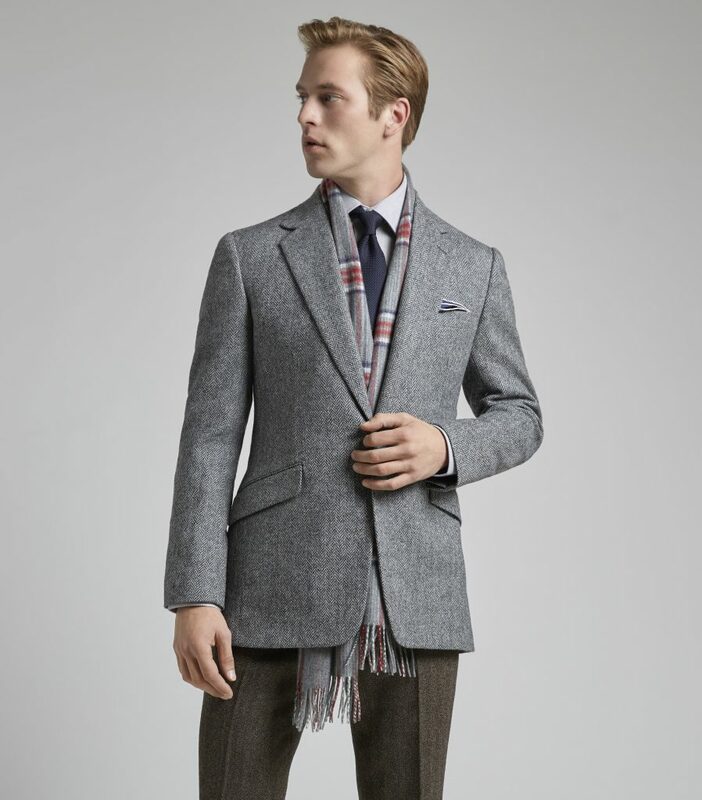 A tweed unique to your family. An experience to treasure. Off the west coast of Scotland, in a string of islands known as the Inner Hebrides, lies the Isle of Islay. A short flight from Glasgow, the island couldn’t be further from the hustle and bustle of the city. Known as the Queen of the Hebrides, this is a place to stir the imagination. Waves crash against the coastline, Neolithic stones puncture the dark soil and the ruins of an ancient stronghold are silhouetted against the sea. 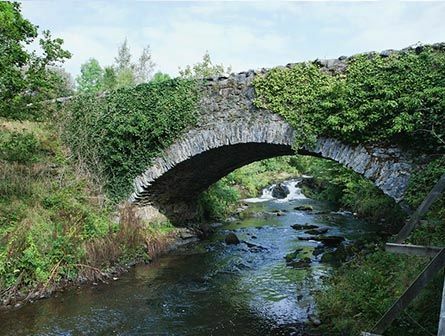 Remarkable as these sights are, Islay has more treasures in store. 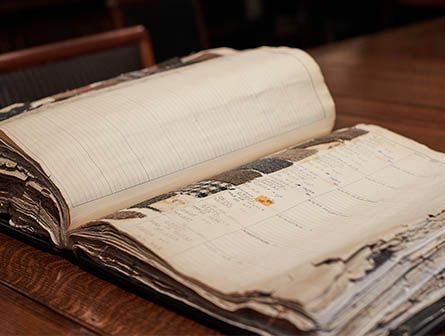 For not only is this fertile, peaty island home to sought-after single malts like Laphroaig, Lagavulin and Ardbeg, it is also the site of one of the world’s oldest woollen mills. 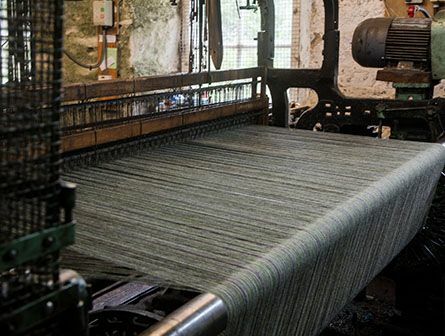 Nestled in the hills, fed by a local stream, Islay Woollen Mill weaves around 40 yards of cloth each day, on two looms that date back to Victorian times. Not much has changed in its stone buildings since then. 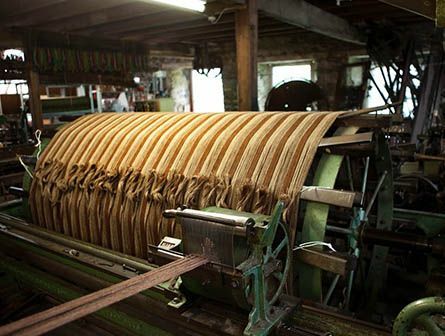 Run by owners Sheila and Gordon Covell, the mill follows its own steady pace and traditional methods of weaving. To visit is to be immersed in the act of creation. 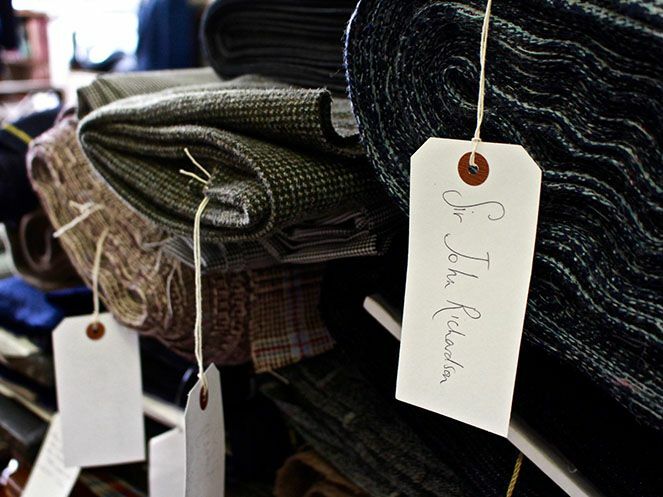 Swatches are pinned to the walls, shelves are dotted with vivid cones of yarn, the machinery clanks and whirrs, water rushes beneath, while on the loom there appears a bolt of distinctive, smooth Huntsman tweed. 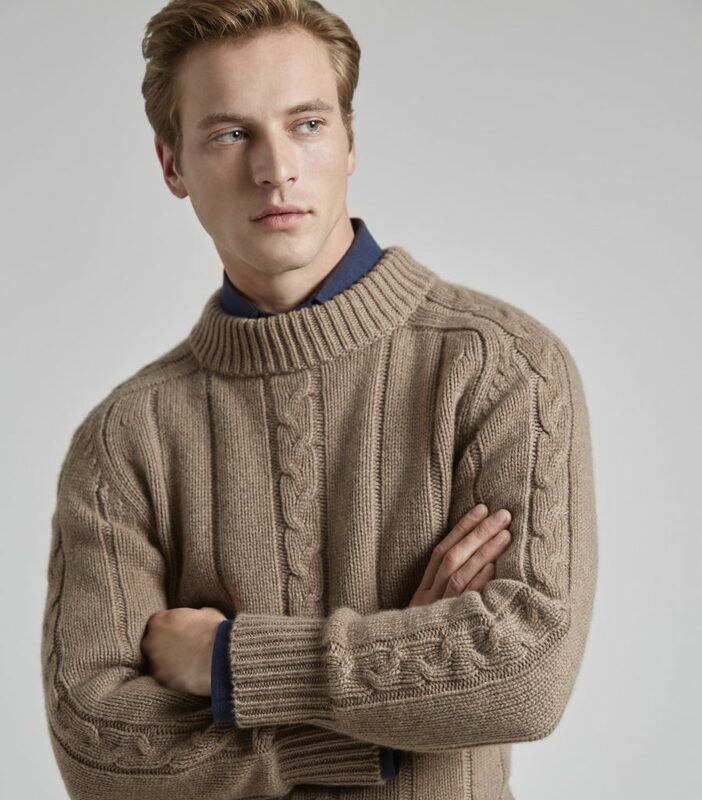 The wool from Shetland sheep, the weave from a local mill and the colours from mountains, moors and lowlands: tweed is a fabric deeply rooted in the land. 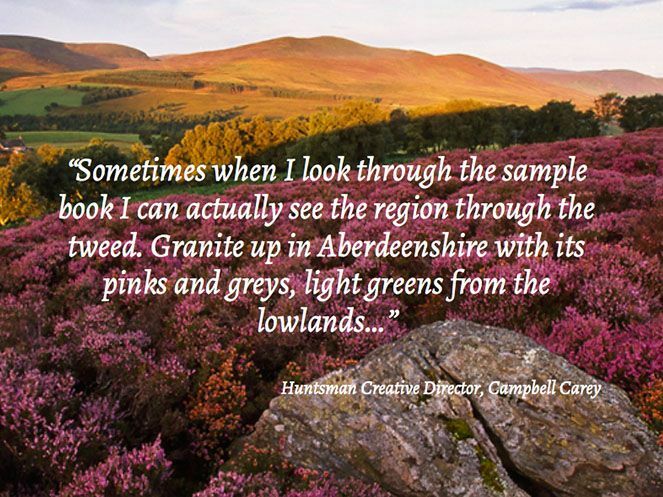 Landowners, hunters, ghillies: all would feel not simply protected from the vagaries of the Scottish weather, they’d experience a connection with their surroundings too. 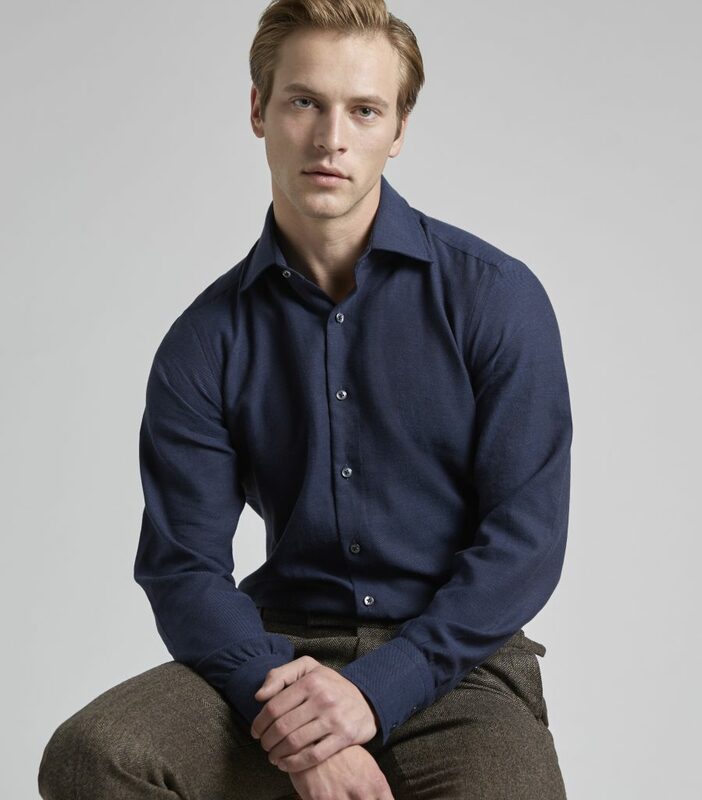 Huntsman’s contemporary collections bring that tradition bang up to date, with the lighter weights, bolder designs and imaginative use of colour that suit modern life. 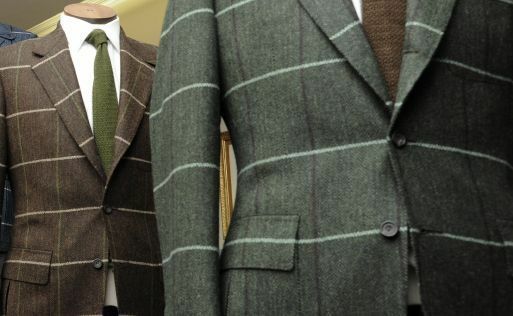 Where once a Scottish laird would choose colours that merged like camouflage into his land, now a client might pick out three distinctive yarns to represent each of his sons. Our reasons change, the creative process remains the same. 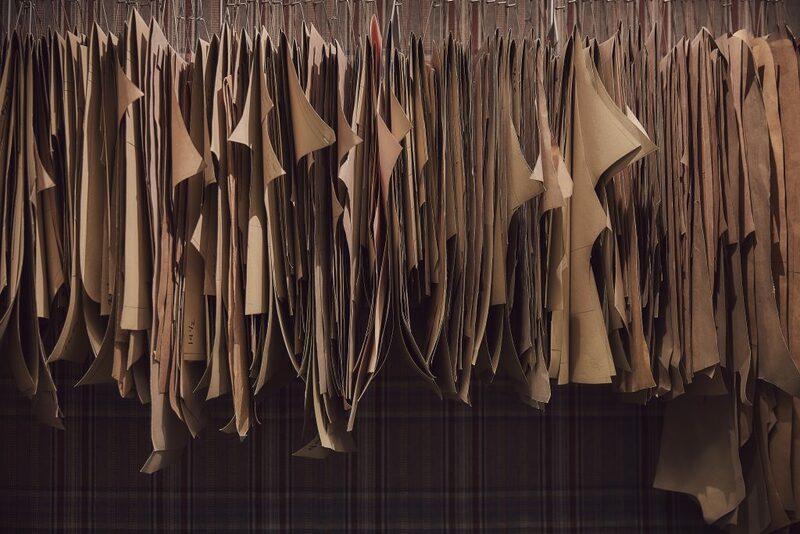 When it comes to creating your unique tweed design, the legendary Huntsman archive will act as our starting point. 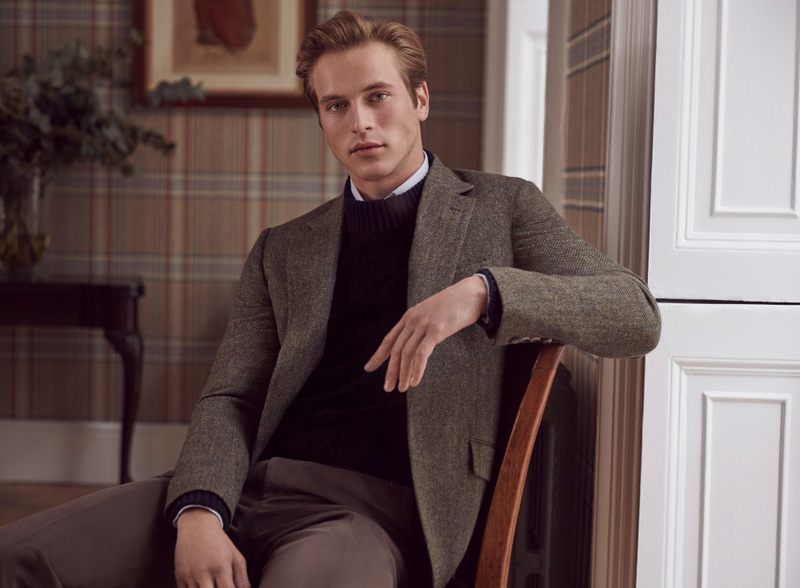 In these vintage cloths you’ll find checks like herringbone, Prince of Wales, barleycorn, houndstooth – names to conjure with – and colour and pattern combinations to inspire. An extensive collection of yarn cards will open a new world of choices to you, for base colour and overcheck. Putting your choices into a computer we’ll see your tweed take shape, adjusting size, scale, repeats and the direction of the weave at the click of a button. The design will then be mapped onto a garment, to see how it will look when finished. 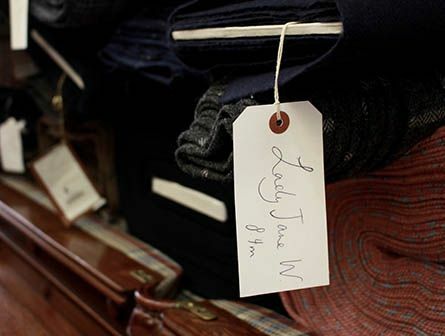 Only when it’s just how you want it to be, will your tweed design be sent to the mill for production. 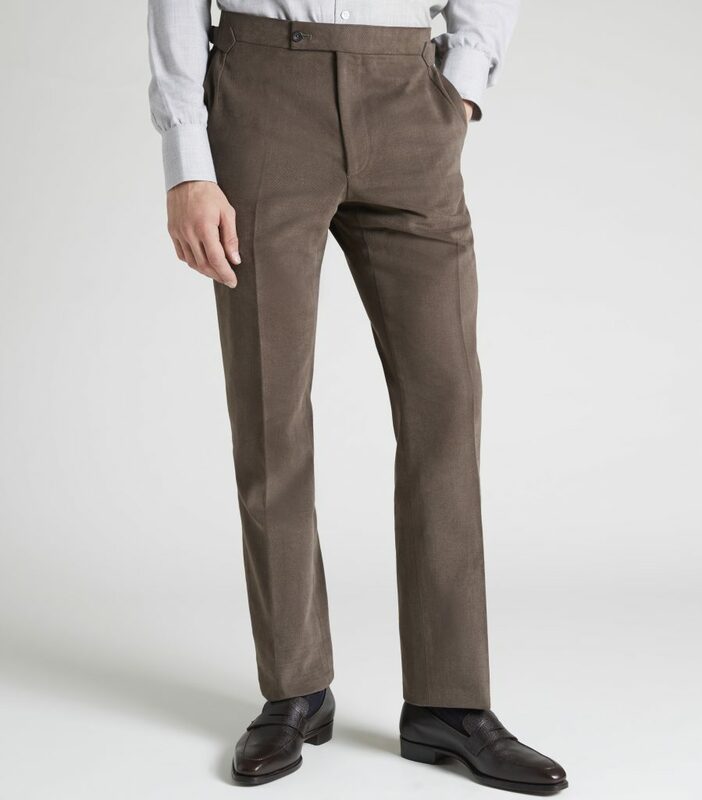 Every Huntsman suit is as unique as its wearer. 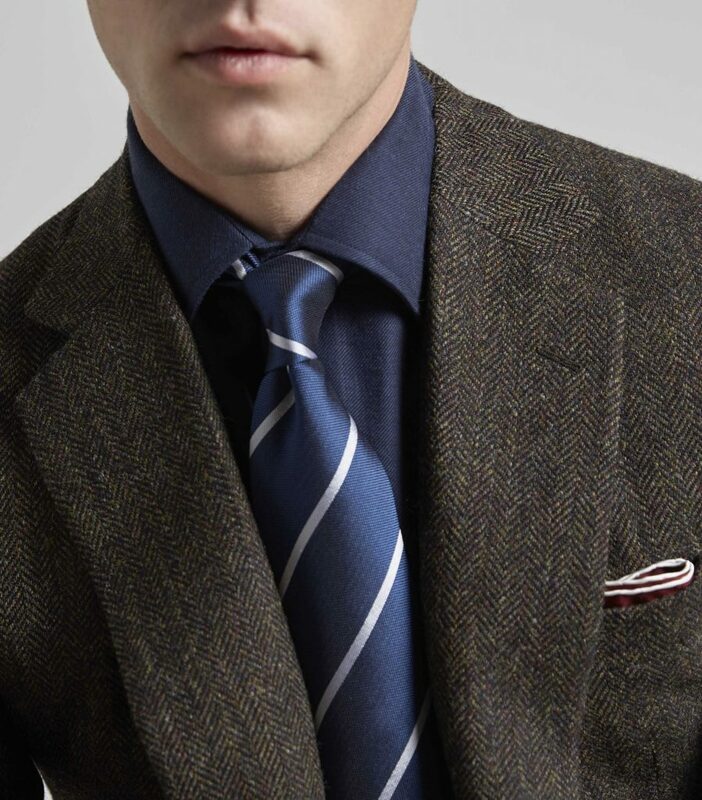 When that suit is cut from tweed you designed, available in a run of only 30 metres: that is a feeling no one else can experience. A private luxury only you can understand. An heirloom only you can pass on. 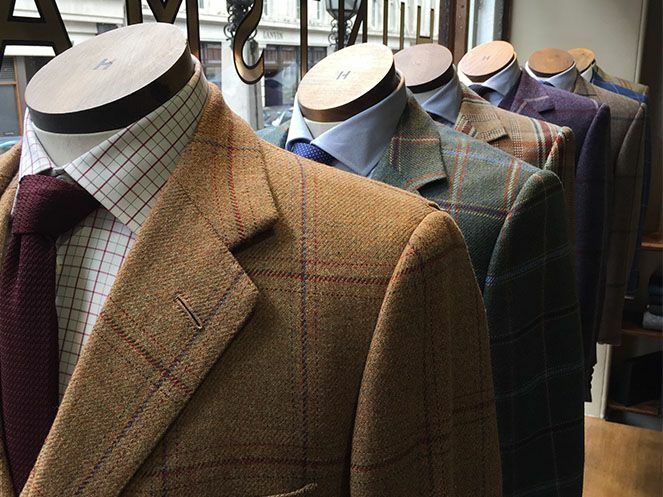 Follow the path of the many notable and beloved Huntsman clients such as Leo Daly, Robert Couturier, Sir John Richardson and Hamish Bowles by creating your own Bespoke Huntsman Tweed. Be bold, get inspired. What will your design be? Time to start your own tradition.